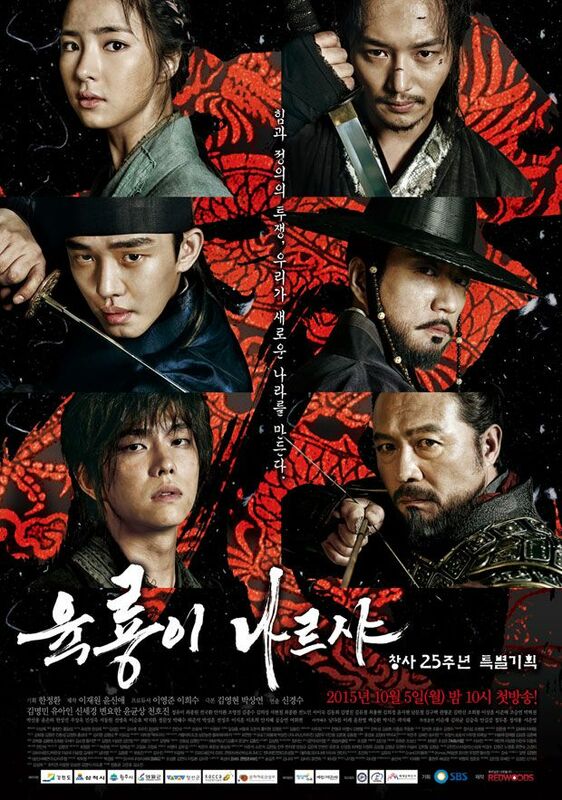 Summary : “Six Flying Dragons” is a Period drama depicts the ambitions and success stories of 6 people around Prince Lee Bang Won (Yoo Ah In). This drama also depicts the ideological and political conflict between Prince Lee Bang Won and Jung Do Jeon (Kim Myung Min) who is the man instrumental in helping King Taejo (Chun Ho Jin) to establish the fledgling Joseon nation. Jung Do Jeon wants a country ruled by ministers, while Lee Bang Won wants absolute power. Prince Lee Bang Won later become King TaeJong who was the third king in the Joseon Dynasty. He helped his father King Taejo to establish the Joseon Dynasty. Hope it last for awhile…..
could you provide 720p hevc? i can’t for this one. Is there any chance this series could have a uptobox or solidfiles mirror? no i don’t use those sites. Hmm oh well guess i’ll slowly download them. Thanks for uploading this. Can you recommend 2016’s most popular dramas so far? Can you please reupload ep15? It doesn’t have a tusfile mirror. The uploadboy is dead (i imagine all uploadboys are dead) while i’ve been getting error 522 connection timed out with letitload since I started trying that site hours ago. I only d/led 1-10 so far so I can check how good this drama is. And opened tabs for 11-15 so I can easily d/l them later. Do you want me to check 16-50 if there are episodes with all dead mirrors? Ep16 as well doesn’t have working mirrors. Gonna start downloading these and all the links are expired. Userslcloud link works fine. Added Suprafiles link. hi, the links are dead. could you fix it? thank you so much. Added New Openload Links for all episodes. Please fix all the links to this drama. What happened with Chuno/The Slave Hunters? Please upload Chuno again. Since my backup from that drama was removed i have to re-encode it again. i drafted the post. i will post it again when i re-encoded it.